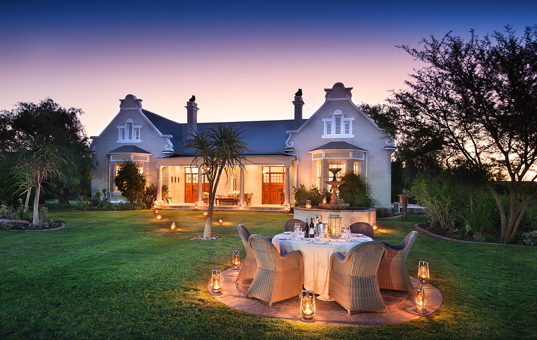 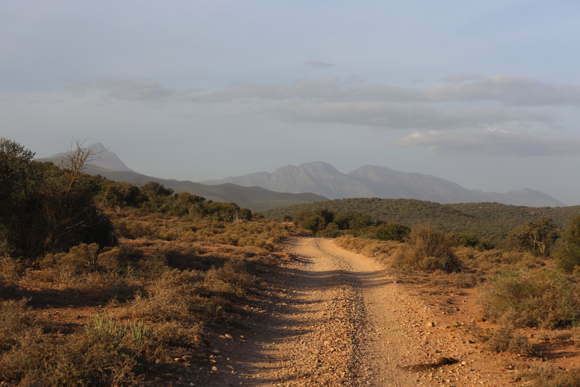 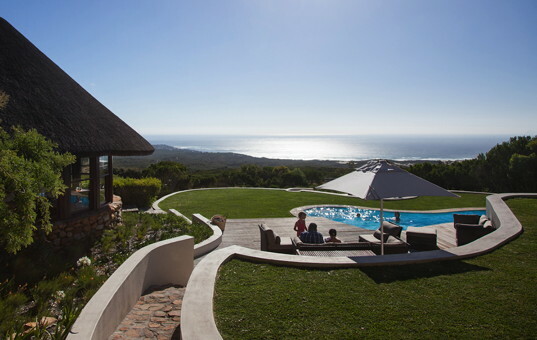 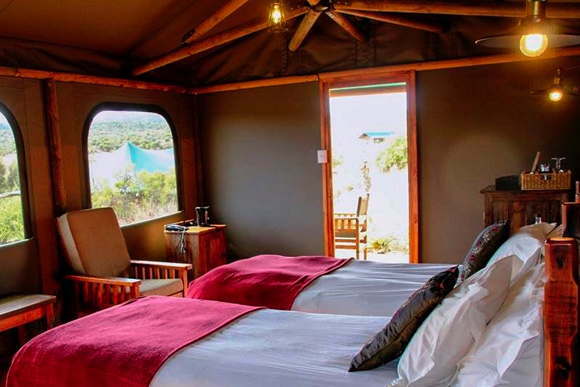 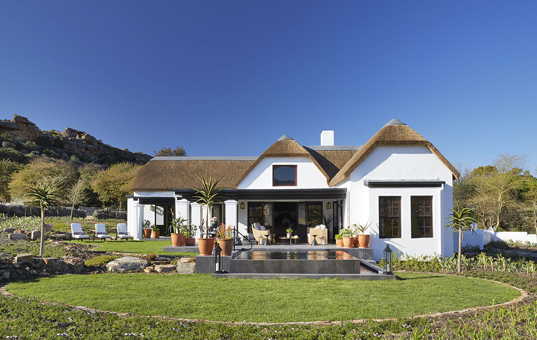 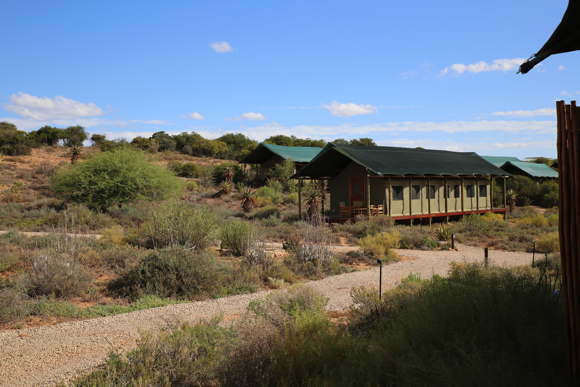 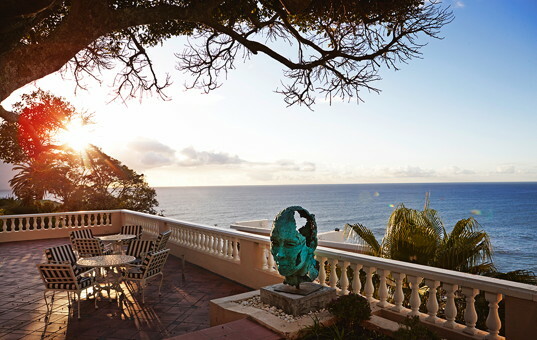 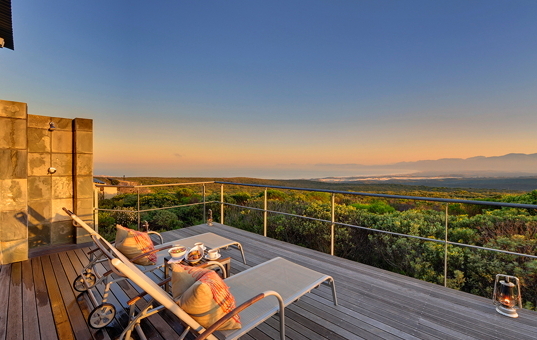 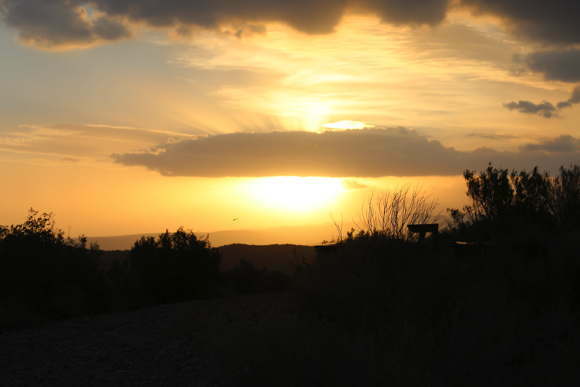 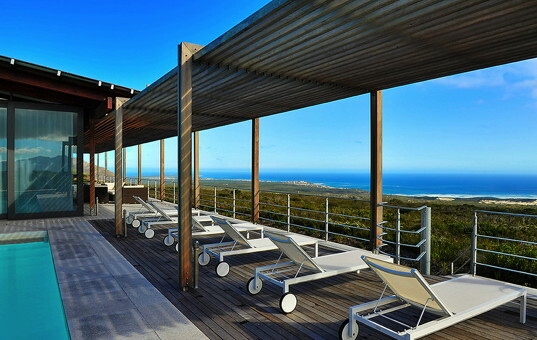 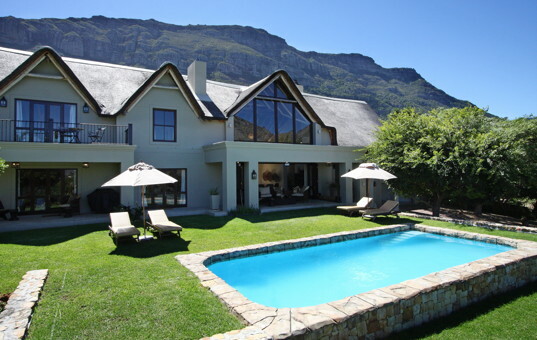 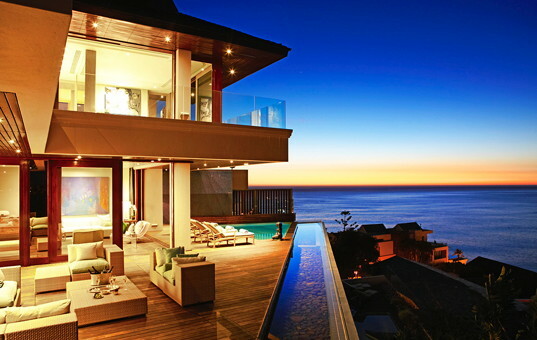 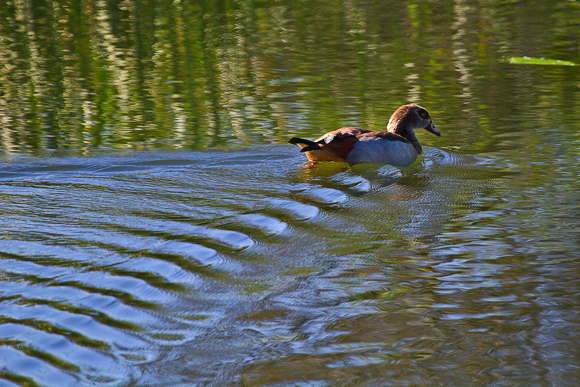 The 4 star lodge is located in the heart of the Little Karoo area, which is part of the famous Garden Route. 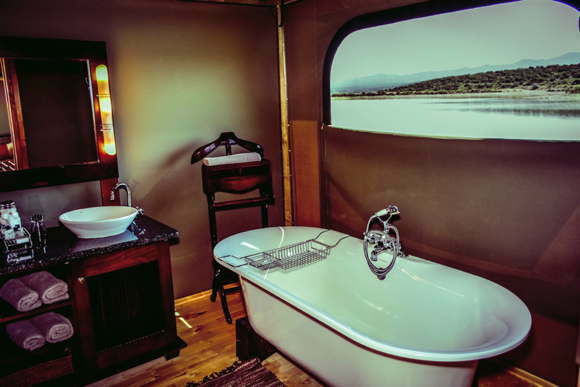 The cosy, tastefully decorated tents all have a spacious ensuite bathroom and outdoor shower. 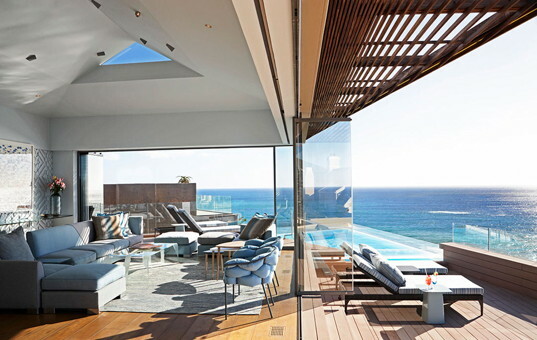 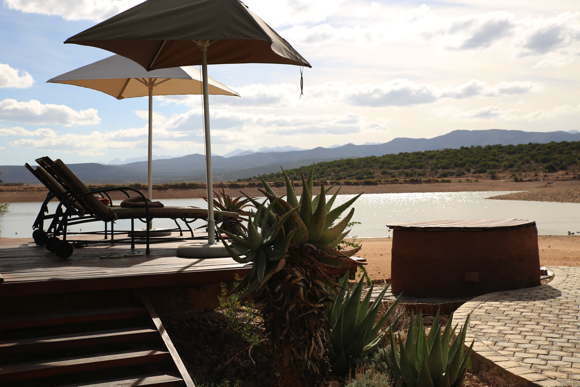 All tents have small terraces with sun beds, a minibar and tea and coffee making facilities. 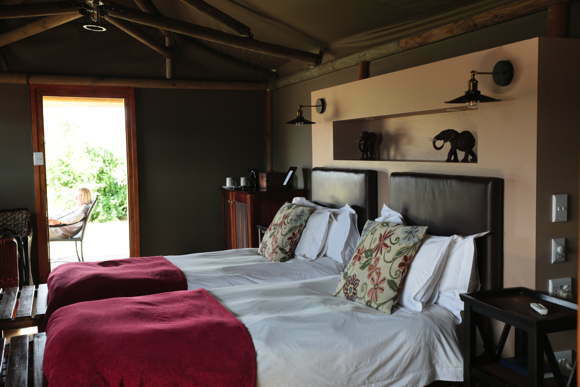 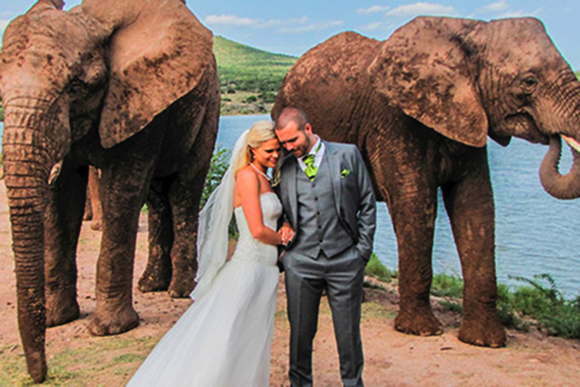 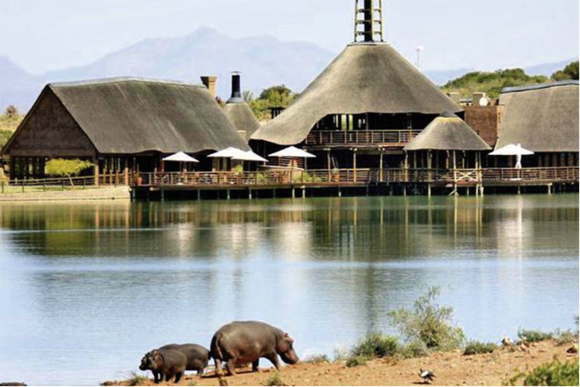 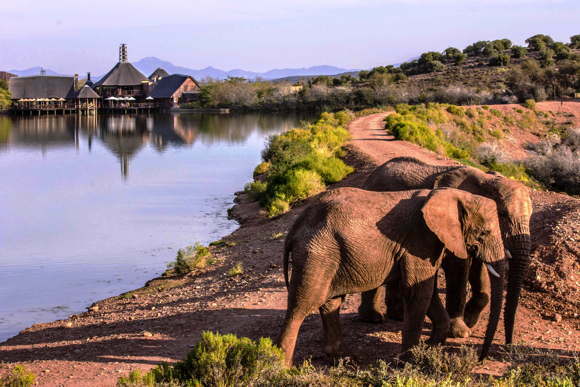 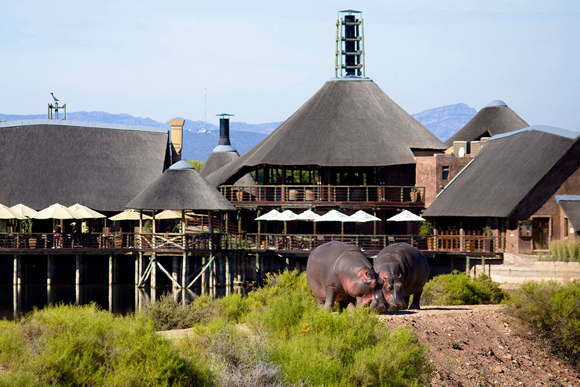 The tents directly at the waterhole have a fantastic view of the animal world. 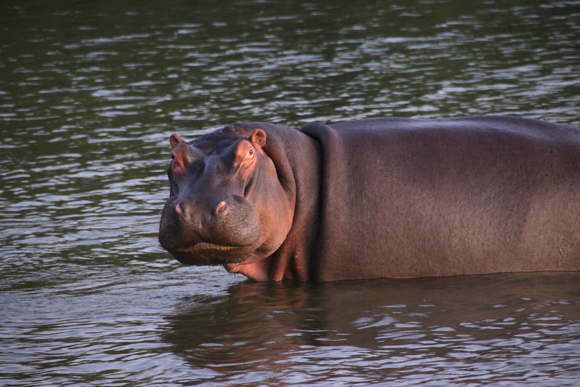 Here you can watch the hippos very well. 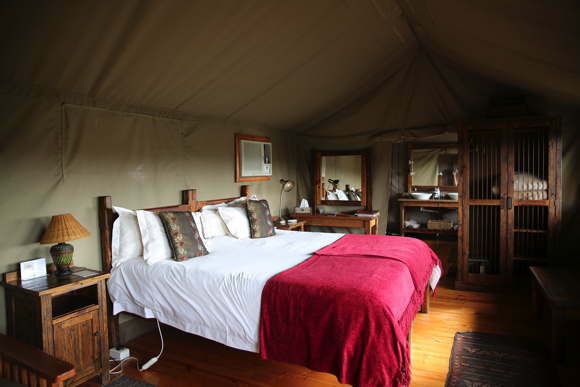 The family tents have two bedrooms which share a bathroom. 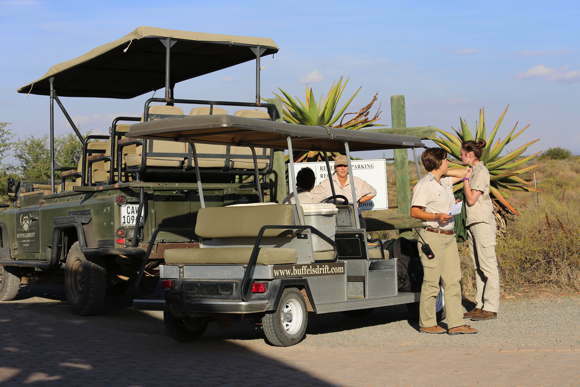 About 300 m from the lodge, there are sufficient parking places and a helicopter landing area. 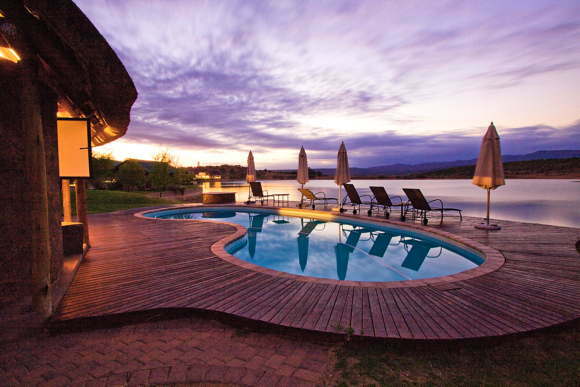 30 metres from the lodge's main building are the pool and wellness area located. 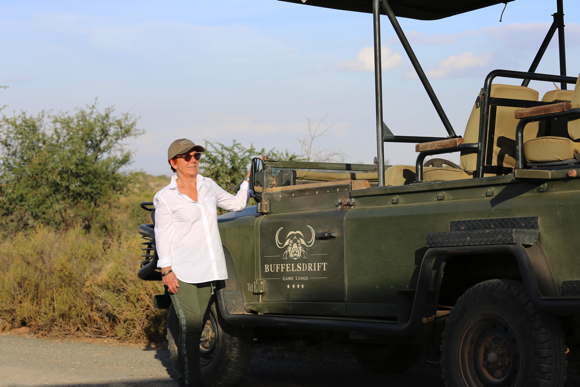 Game drives are possible daily. 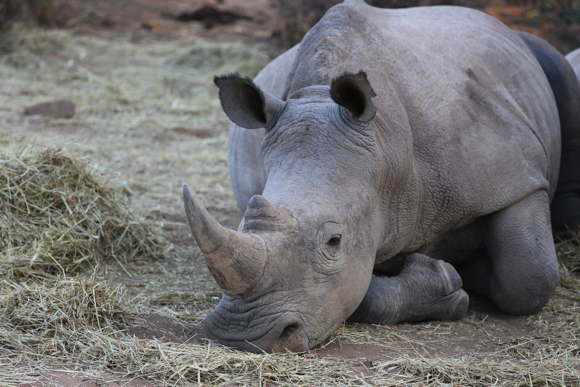 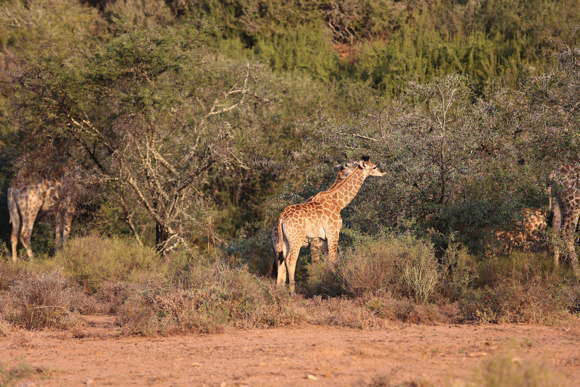 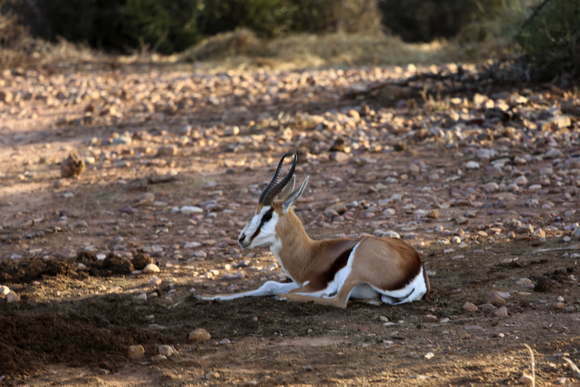 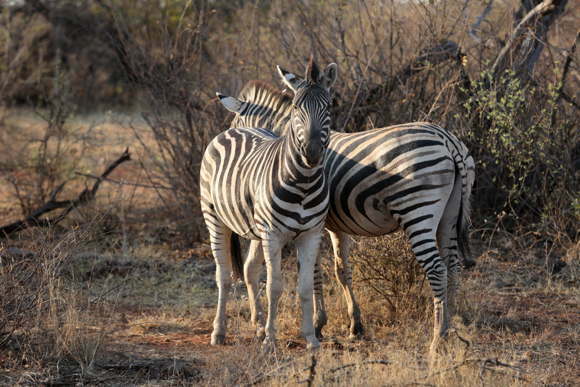 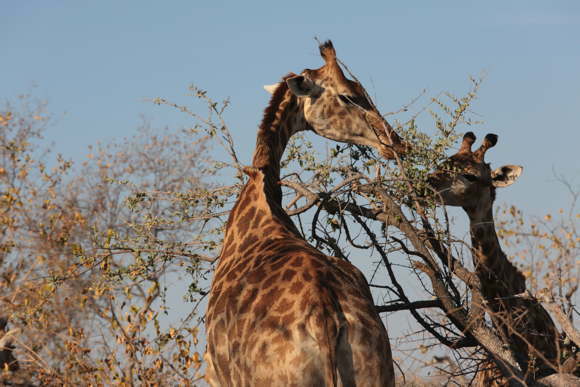 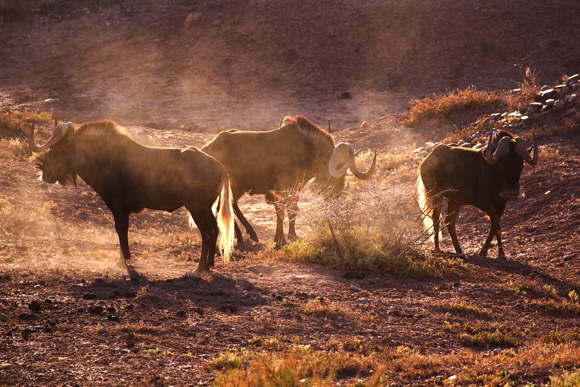 You will see giraffes, rhinos, elephants, Cape-zebras and many different antelopes. 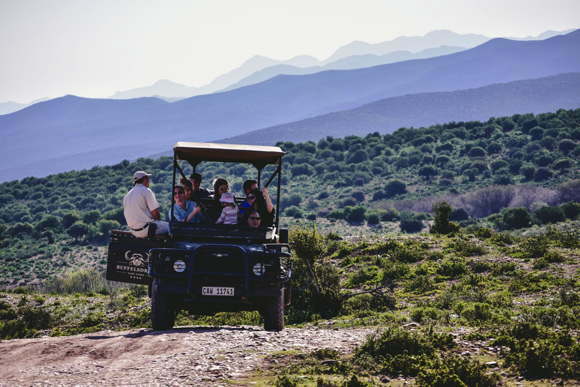 There is an ostrich farm in the Oudtshoorn area. 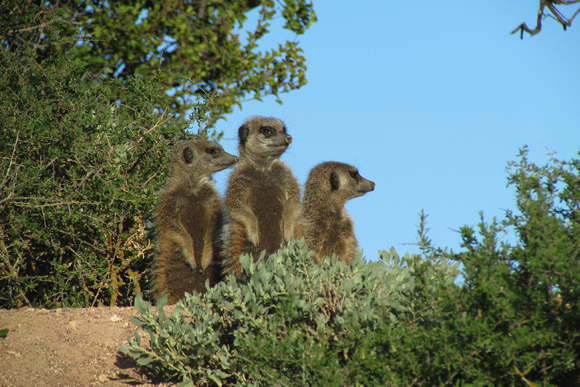 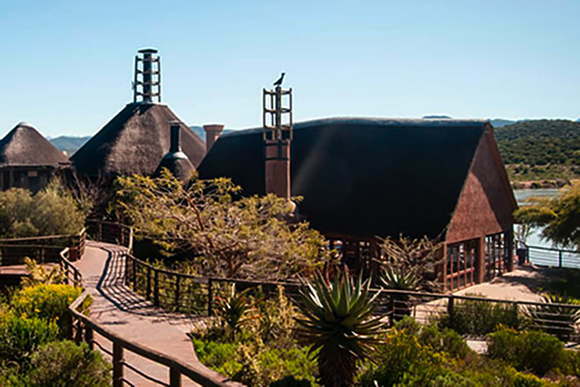 Furthermore, Buffelsdrift Game Lodge arranges a safari to watch meerkats every day which you should not miss. 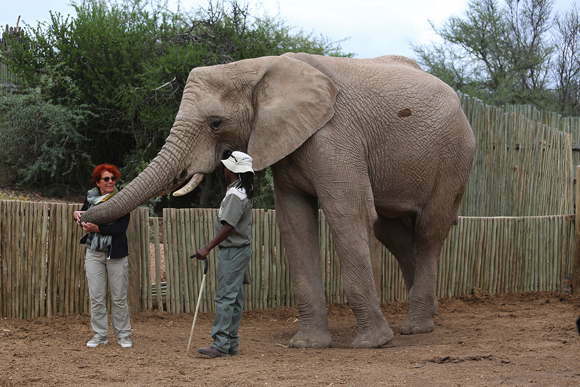 If you are interested in elephants, you should definitely reserve your place for the elephant feeding. 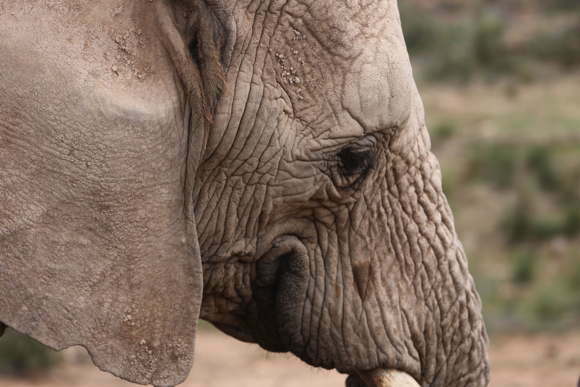 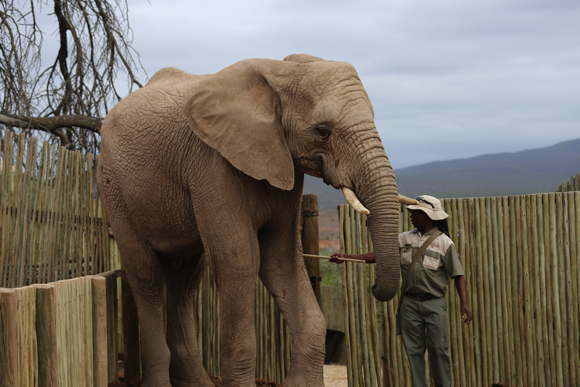 None of the lodge´s elephants have been taken from the wild for captivity. 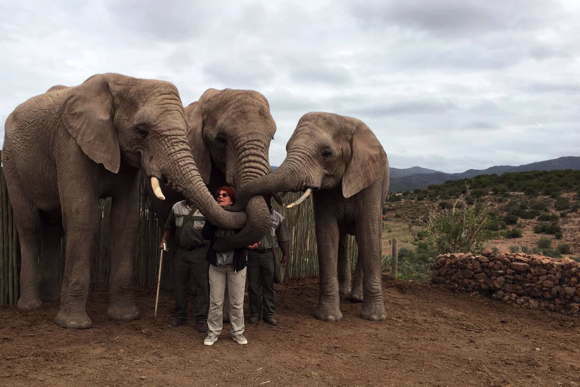 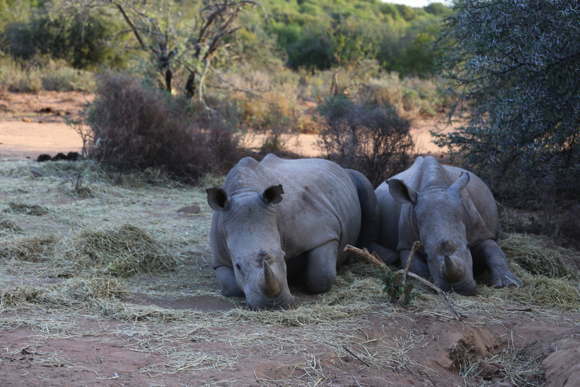 These three elephants were orphaned and so the lodge took and raised them. 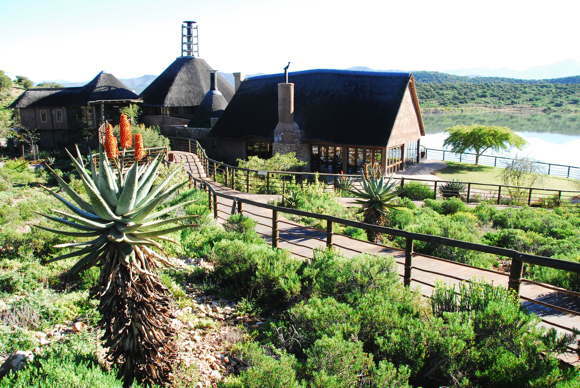 We would also be glad to organise your bespoke wedding or family event in this beautiful lodge. 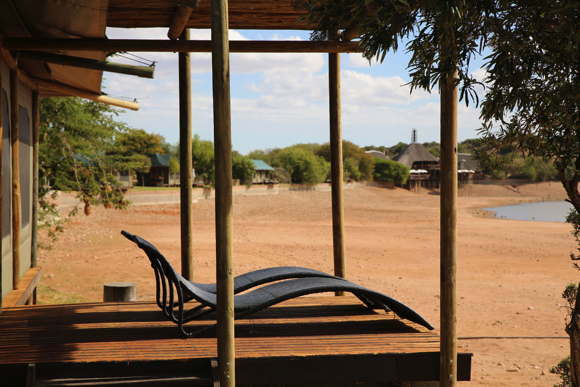 Very comfortable and child-friendly lodge for an holistic experience of nature.